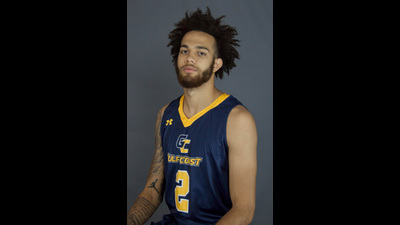 Jeremy Harris of Gulf Coast State College has decided to take his skills from the Sunshine State to the Empire State, and will suit up next season for the Buffalo Bulls. Having visited Texas Tech and receiving recent interest from Wichita State, TCU, and Washington State, Harris decided to pull the trigger and commit to Nate Oats and the Bulls. "The biggest factor [in my commitment] was that Buffalo worked the hardest. The coaches and I built a great relationship and most importantly I trust them." After graduating from Page HS in North Carolina, Harris spent a prep year at Fishburne Military in Virginia. He originally committed to Coastal Carolina while at Fishburne, but decided to decommit and go the JUCO route. In his freshmen campaign, he averaged 13.7ppg on 49% shooting for the Commodores of GCSC, which included a 35 point performance against Chipola (1/2/16). "I can shoot it well and I'm a very smart basketball player and that makes the game easier. But this season I'm trying to improve on my defense and get stronger." Buffalo is coming off its second straight MAC championship. Last season, the Bulls went 20-15 (10-8 in the MAC). Harris is UB's third commitment for the '17-'18 season, joining guards James Reese of South Carolina and Jayvon Graves of Ohio. Harris hopes once he joins the Bulls, he'll do his part in continuing the team's recent success. "[UB fans] can expect me to work as hard as I can and give my all to the program to try and win championships."